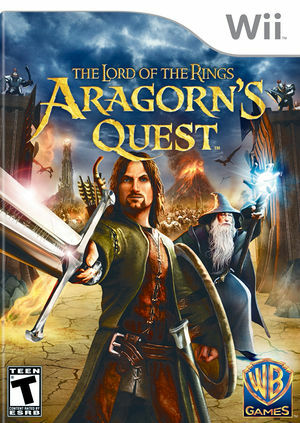 In The Lord of the Rings: Aragorn's Quest, players assume the role of Aragorn to take on his greatest quests from The Lord of the Rings trilogy. Wielding a sword, shield, bow and spear, fans will battle enemies, lead armies and journey through a colorful and fresh rendition of Middle-earth. Players can even switch between spear and sword on horseback; taking down evil foes in an action-packed gameplay experience. Two-player co-op gameplay featuring Gandalf allows kids, families and friends to work together in the heart of the action. The graph below charts the compatibility with The Lord of the Rings: Aragorn's Quest since Dolphin's 2.0 release, listing revisions only where a compatibility change occurred.